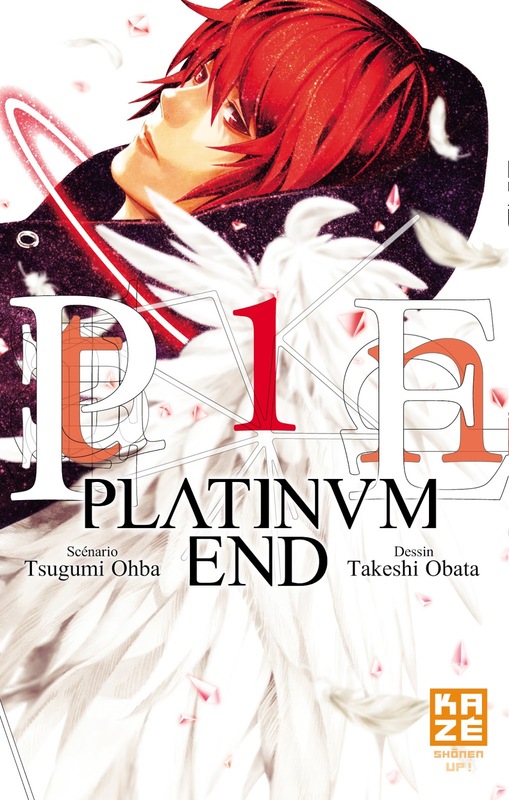 Platinum End volume 1 was written by Tsugumi Ohba and illustrated by Takeshi Obata. This volume was published on 20th of October, 2016. This volume features the first three chapters (01-03). This volume introduces Mirai Kakehashi, a burned middle schooler on the day of his graduation. As all his fellow students rejoice around him, Mirai feels his life is over and decides to take matters into his own hands. Stepping up to the edge of the building, Mirai says the words that would change his life “I wish I could have been happy” As the pavement rushes towards his face, he is stopped by some miraculous force, An angel, more specifically an angel that promises him the happiness he wants to so dearly have. The Angels announce herself as Nasse, Mirai’s guardian angels, and bestows upon him the wings and arrows of an angel. However with these angelic gifts come an enrollment into a mandatory game, a game to decide who the new God will be. My Review: I just sort of stumble upon this manga while perusing my local bookstore, I gave a quick flick through and thought “why not”? So I bought the book and you know what, it is pretty good. I would describe it as a sort of “Death Note X Future Diary” which kind of makes sense, since Tsugumi Ohba wrote death note. From what I can tell, the plot is really just kicking in during this volume but it definitely seems to be quite promising. The two main characters also seem to be quite interesting, especially how the angels aren’t goody-two-shoes but rather, more of an omnipotent being with no sense of morality. I definitely have high hope for Platinum End and can’t wait to read more. I would definitely recommend this to anyone who likes Death Note and Future Diary. I rate this manga 7.5/10.